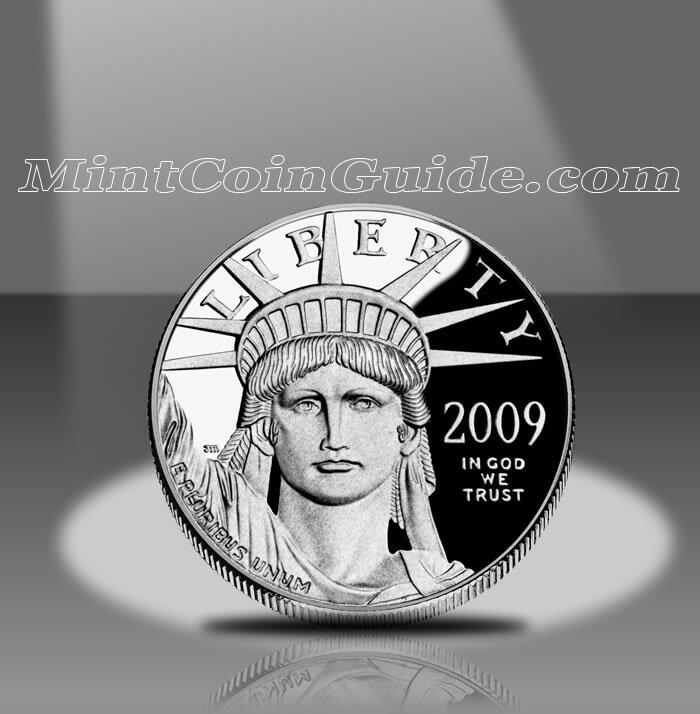 The 2009 American Platinum Eagle Coins experienced a drastic change in their line-up during the year. 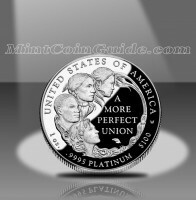 Despite the falling price of platinum, the Mint cancelled all but the One ounce Proof Platinum Eagle. The decision came during a year in which the Mint was experiencing intense demand for the bullion Gold and Silver Eagles. Accordingly, the numismatic versions of those strikes were cancelled as well. As the only Platinum Eagle to be released during the year, the ounce Proof saw a lot of excitement when it was finally released on December 3, 2009. Its entire allotted mintage of only 8,000 strikes sold out in a week. 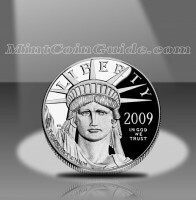 The Mint cancelled production of any 2009-dated Bullion Platinum Eagles. The only Proof Platinum Eagle sold during the year was the one ounce size which reached its mintage cap of 8,000 within a week of its release. The US Mint cancelled all of the Uncirculated Platinum Eagles in 2009. 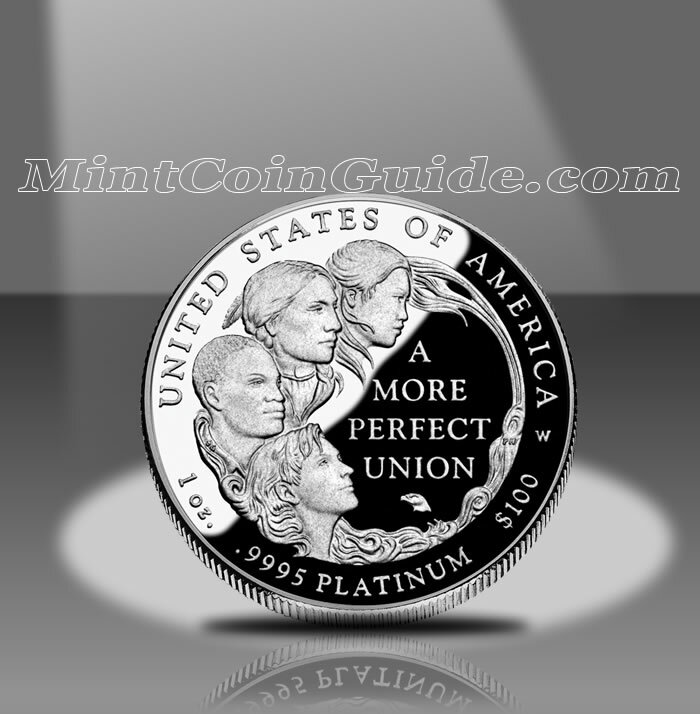 The 2009 Platinum Eagles were the thirteenth year in which the US Mint produced the precious metal strikes. The One Ounce Proof Platinum Eagles were released for sale on December 3, 2009. No other Platinum Eagles were sold during the year. The One Ounce Proof Platinum Eagle was initially sold for $1,792. The reverse of the Proof Eagle features the first of six annual designs dedicated to the six principles found in the United States Constitution. The "To Form a More Perfect Union" design is the work of Susan Gamble and sculpted by Phebe Hemphill. The US Mint’s facility in West Point struck the One Ounce Proof Eagle. John Mercanti’s "Portrait of Liberty" is featured on the obverse (heads side) of the Platinum Eagles. The reverse (tails side) shows a design by Susan Gamble known as the "To Form a More Perfect Union" design. It is the first of six new annual reverse designs dedicated to the principles found in the United States Constitution.